We have WIFI internet! and new Central AC. Come for a week. Enjoy spectacular Caribbean sunsets, wrap-around views, fantastic weather, and other unique island treasures. Later spend time reading or watching a movie selection from the large video library in air-conditioned comfort. You will want to return again and again. Guaranteed. The villa views the Ten Bay beach completely, as it is situated at one of its ends. At low tide you can walk from the villa straight to the beach in 30 yards. At high tide you need to take a bypass of about 90 yards. The water starts right under the house in a little cove, access is given from your private dock. You can walk on the sea floor for a hundred yard easily! Snorkeling starts right under the house at a rock overhang. The deck winds around the villa with direct views on the sea and the beach. We could not have loved the view more. We spent most of our vacation on the deck watching the amazing marine life below. The views from inside the house are just as spectacular. The air conditioning was a nice bonus, although we didn't need it much because of the breezes. The shower needs some work, but overall, the house is lovely and we look forward to another stay! Bahama Villa is second to none. Each day you will enjoy tranquility due to that gorgeous view, marine life and hardly anyone else around. We kayaked, swam, walked on the beach and explored the surrounding area. Emmy and Bob were very helpful and they were right when they said that you will want to spend most of your time at their house with that view and beach. We will be back. What a great review, thank you John for taking the time to write this very accurate review. So glad to hear that you love Bahama Villa as much as we do. We consider ourselves very lucky to own this personal vacation home and loved sharing our piece of heaven on earth with you. Bahama Villa was a perfect vacation spot. The house was very comfortable and had everything we needed. The oversize sliding doors brought the outside in and also captured the beautiful view! The location couldn't be beat. We spent majority of our time at the house and Ten Bay beach. We were able to take out the kayaks, fish and snorkel. We loved just hanging out on the deck in the hammock soaking up the view. We were able to see stingrays as well as other fish right off of the deck. We even spotted dolphins while kayaking! Bahama Villa is located on the central part of the island, so we were able to get around easily. Thank you Emmy and Bob for sharing your special home. We hope to be back. How lucky we were to stay in Bahama Villa. A true gem. Best location in Ten Bay Beach. A true Wow when you enter this home. The views are so breathtaking. The deck is huge , the sea life is amazing. Very well maintained and clean home with everything you need. Nicely furnished and feels like home. Look no further. This is paradise on earth. What a perfect location and house. What you don't see in the pictures is the sealife in water just below the porch -- lots of fish, rays wandering by all day. Swim left along the cliffs and you'll find great snorkeling with no current or wade over to Ten Bay Beach. The house is well appointed. They even provide beach chairs, umbrella and cooler to visit other beaches (be sure to arrange to rent car/jeep to explore). One review below mentioned issues with AC, pressure, and porch. We had no issues at all with these, but do note if you are looking for a 5 star resort this is not for you (actually Eleuthera may not be!). If you want privacy, relaxation, and island character, this is the a perfect spot. Our stay was magical. Everything was perfect in the house. The neighborhood very quiet and peaceful. The snorkeling off the house was incredible as was the kayaking. During low tide we would walk (knee deep) to the very secluded beach, once even loading up the house supplied cooler with lunch and beers onto the kayak and wading over. The house manager, Mr. Arthur Nixon was very helpful with setting us up with a rental car among other things. 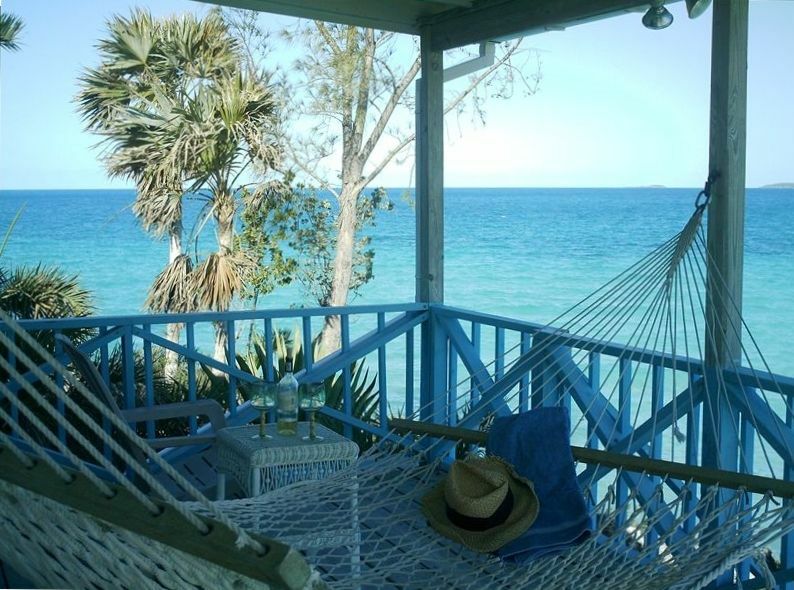 Over all, our stay on Eleuthera was heaven. Caves, beaches galore, historic Governors Harbour, exotic Harbour Island and Spanish Wells to the north. rates are for 2 people. additional people above age 3 is $20/night Xmas and New Years is $25/night 2 single kayaks are included. You must contact ARTHUR NIXON 242 3597879 taximan167@yahoo.com is our manager and let him know what time you arrive at the airport. He meets you at the Governors Harbour airport and gives you a key to the house. Best to rent your car from Arthur Nixon. He is a great manager.